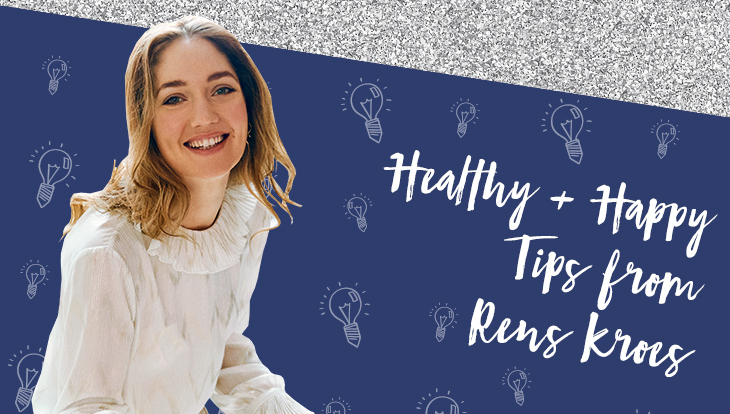 We could all use a little push to kick-start our healthy eating habits this year and our #BlogHer18 Health speaker Rens Kroes is here to help. Rens is a bestselling author of four cookbooks, a food influencer, and a healthy lifestyle blogger with a social media reach of over 450k. She shares her tips on how she turned her passion into a career and some of her favorite easy recipes to create! RK: My name is Rens Kroes (30). I come from the Netherlands and I’ve been interested in wellness since I was a teenager. I believe that the combination of healthy eating, sufficient exercise and relaxation ensures a fit and healthy life. As of 2013, I turned my passion into my work by becoming a healthy lifestyle blogger, food influencer and vlogger. I’ve written four bestselling books, of which two are also available in English. I moved to New York last year to increase the reach of my brand even more. All of this has been in service of my goal of helping people become more aware, healthier and happier! RK: My blog is about happy and healthy living generally and the emphasis is on nutrition - my love of healthy eating goes way back! My grandparents had an organic farm. In their own way, they were very progressive when it came to food at that time. Whenever I was with them, I would pick herbs in the garden with my grandma or help my grandpa, who taught me how to grow crops. My parents were also into food. My mother is a nutritionist, so for us, having things tahini, sourdough bread, spirulina, bee pollen and whole oats in our kitchen was the norm. In our village, we were known as the progressive and food-conscious family. Our garden was home to a variety of vegetables and I even got to claim my very own little bit of ground to tend to. After having worked for a time in an obesity clinic, I wanted to put my own kombucha on the market, so I started brewing and, meanwhile, I began blogging about food with the intention of promoting the drinks I would eventually sell. But people took a real interest in my blogs and the healthy lifestyle I was sharing, and soon the blog took on a life of its own. For quite a while, I also wrote for Glamour and Jamie Magazine, all the while growing my platform. Now I have four bestselling cookbooks to my name, of which two have been published in English. I’m now working on starting a meal-kit delivery service, which I think is super exciting. I’m so curious to see what people will think of it. RK: Work from your heart. Do the work that satisfies you and the rest will happen on its own. Be sure to plan, but make a point of living in the moment. The best advice my boyfriend always gives when things are difficult: keep going and don’t give up! Everything I do, I do with love, but at times, so many things seem to go wrong. But when he says that, in that moment, it always makes me remember how lucky I am that I’m able to do this work. No matter how tough it is at times! RK: My mother. She’s so knowledgeable, about health in particular, and is so incredibly sweet. No one has a bigger heart! And my boyfriend, he always empowers me. What’s one message you hope your followers will leave with after visiting your site? RK: I hope that my site inspires and motivates people. I hope it makes people more aware and helps them enjoy life more! Because, as we all know, that’s what it’s all about! And warm up with a bowl of her delicious Celeriac Soup! Come see Rens speak at #BlogHer18 Health in NYC on Jan31st!